I asked for "Me" time on Mother's Day. My wish was granted. Jed took care of Javi. My two boys bonded at home. 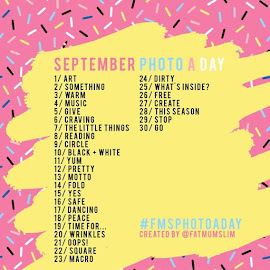 I'll walk you through my day using photos. and my favorite Iced Caramel Machiatto. I got to see a movie, Iron Man 2. Yay! Now this is funny. I bought myself a Mother's Day cake because I love marshmallow icing and I couldn't resist the cake from Red Ribbon. Time to bond with my two boys. Dinner at our now favorite restaurant, Ching Palace. There's still no crab available. We settled for rock lobster. I forgot to bring my camera. Boo hoo! Blame it my depleting memory. 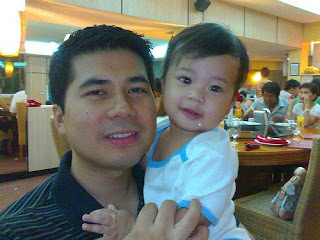 I only have this photo of my two boys from my cellphone. I am loving Mother's Day. Looking forward to next year's celebration.